Look around your house and you’re likely to find discarded boxes, containers, or furniture waiting to take their place in the trash heap. Even if you’re not sad to see these items go, there are still ways you can hang on to them. How? By reusing them for a whole new purpose! Check out these commonly used household items that were cleverly remixed into something new and functional. Some have had DIY makeovers, some are used for more than what’s intended, and others were given a new life instead of being dumped into a garbage bin. Grab some ideas from this list for things you may never have thought of using in these ways! Easily pour pancake or waffle batter with a plastic ketchup bottle. 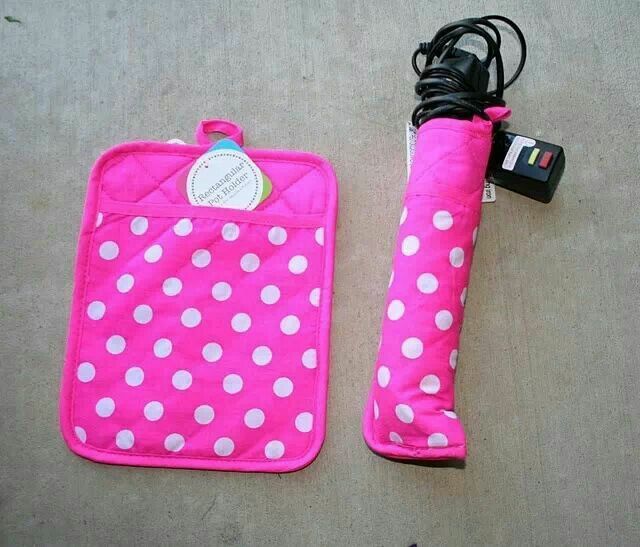 Cool down your hot styling tools, like curling irons, by using a pot holder. Turn that dusty mini fridge into a large cooler. Check out the instructions here. Decorative paper towel holders are perfect for keeping your bracelets stacked. Use wire magazine holders to store cans in the pantry. We know you love your CD collection, but you’re probably not listening to them as often as you used to. Pass them some drinks to keep them busy. If you want to make them pretty like these, check out Crafts by Amanda. Knock the cobwebs off that old ladder and turn it into a lovely wall shelf. You can find the project details here. Keep your car spotless with the help of a plastic cereal container. Some of you may need more than one! Use drink bottles for hand soap, dish soap, or even shower gel. It’s up to you if you want to go with glass or plastic, and these are easily refillable. Convert old drawers into serving trays. You can even make it pretty like Petticoat Junktion did with this project using drawers from a thrift store. Pack emergency supplies or other small effects into pill bottles for safekeeping. You never know when you’ll need what’s inside! You can put just about anything into these old coffee creamer bottles including snacks, liquids, or office supplies. Keep them out of the recycling bin! 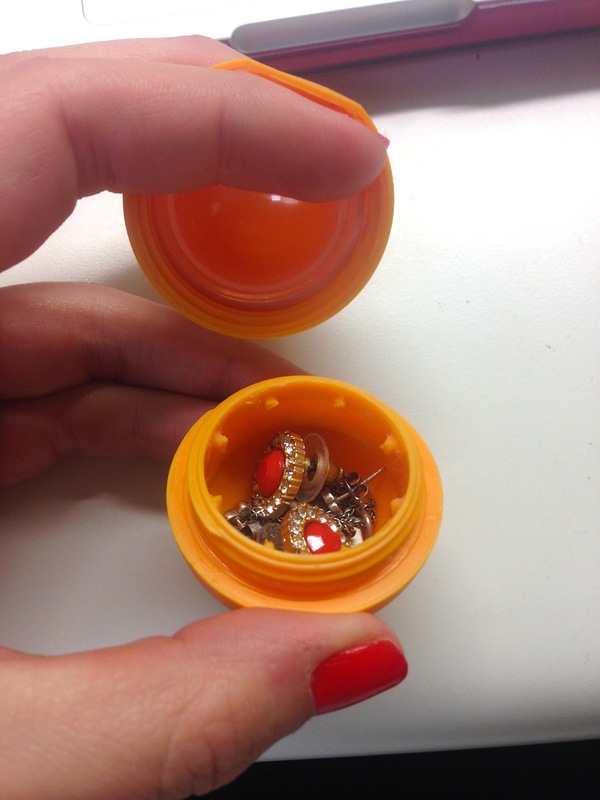 Round lip balm containers are perfect for stowing jewelry when you have to travel. They’re also great for hiding small items out of sight. This old suitcase was made into a mirrored cabinet. It’s quirky and functional. Cupcake liners are perfect for catching popsicle drips, and they look cute too! Easily turn your unused wares into something practical that you can use in the home, car, gym, or workplace. Why not make one of these ideas your own? Which of unique uses really caught your attention? 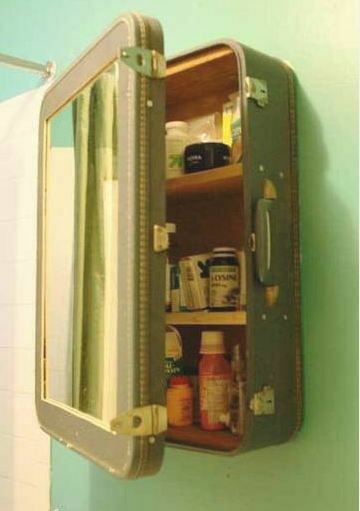 Have you repurposed any items like these in your own home? What have you converted them into?